Left: Front Feet with Claws. See the back and a size comparison with a soda can. Right: Rear Feet with Claws. See the back and a size comparison with a soda can. These are real black bear feet with claws. They are divided into front feet and back feet. 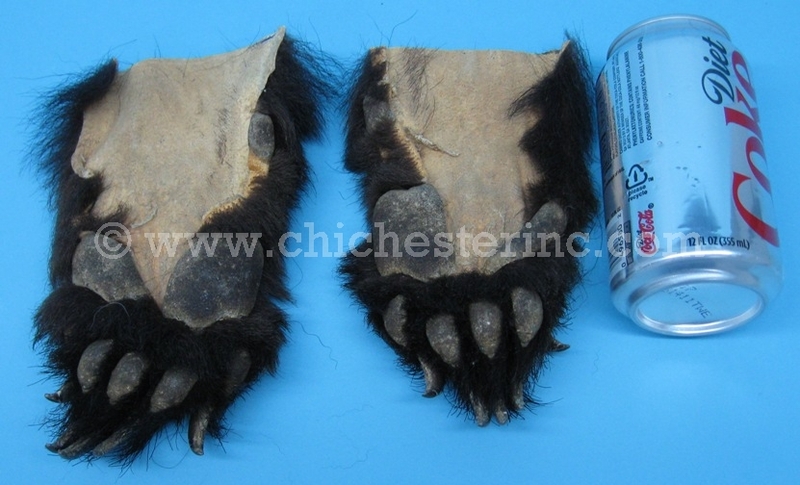 The front feet are approximately 7.5"-8" long and 3.5" wide and weigh 0.16 lbs. 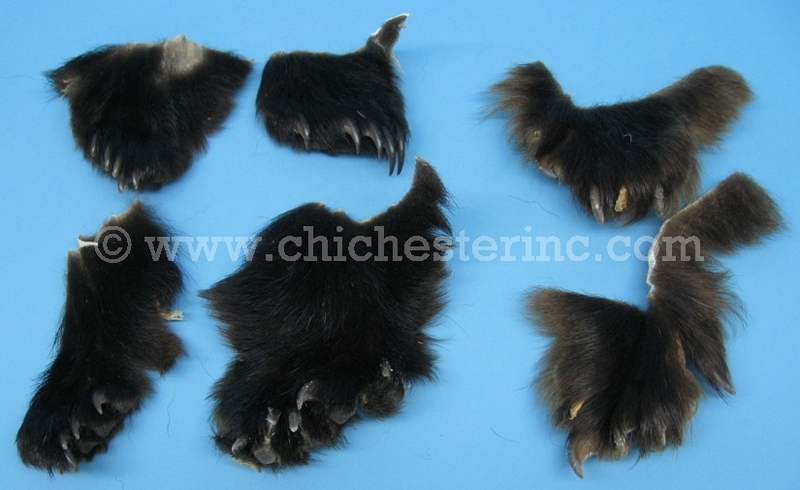 The rear feet are approximately 4"-6" long and 2.5"-4" wide and weigh 0.04-0.08 lbs. We have one pair of rear feet that is larger than the rest which measured 8"-9.5" long by 3.5"-4" wide. 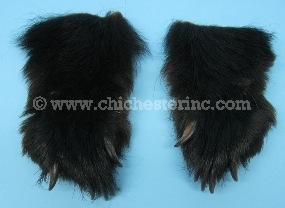 Click HERE to see if black bear claws are permitted for sale in your state. 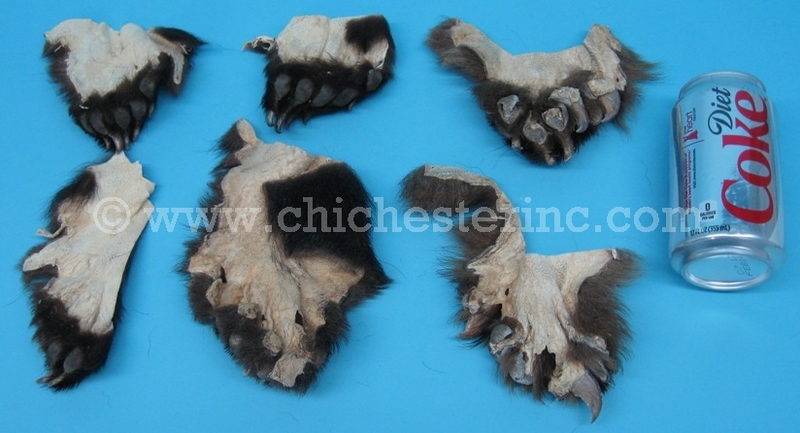 (If your state is not listed, please contact your State Department of Natural Resources and provide us with the relevant proof that black bear claws are permitted for sale in your state.) We will not ship claws to states that do not permit us to do so.